Thank you for taking the time to look through my website. I hope you find it informative and educational. 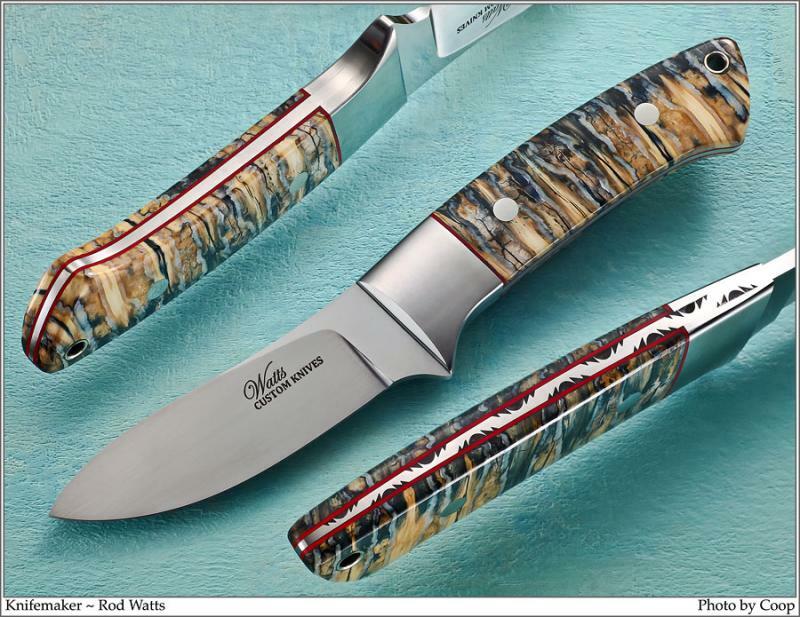 Although I have only been making knives about 5 years now, thanks to the help of several top makers like the ones listed below Watts knives are improving in quality very fast and I am blessed to have sold knives to collectors throughout the country and oversees already. Thanks for your support! A special thanks goes out to my good friend Rusty Preston. Without his help and guidance, I would not have this wonderfull hobby to enjoy. 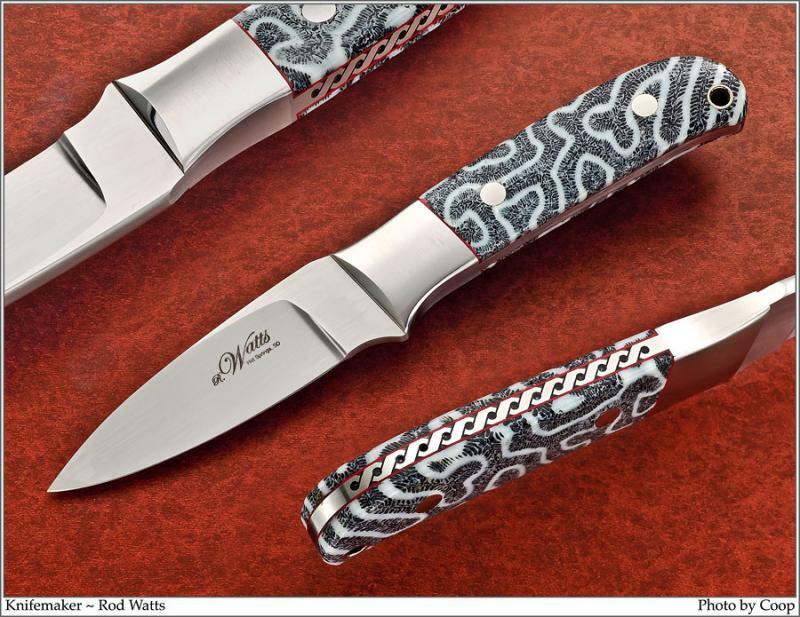 ALSO I would like to send out a special thanks to Paul Shindler of knife Legends. After buying 3 of my knives at the Vegas show Jan 2010, Paul has given me much guidance in reguards to improving the quality of my knives. From answering countless questions to shipping me a top makers knife for quality review, Pauls help has been huge. Thanks Paul! 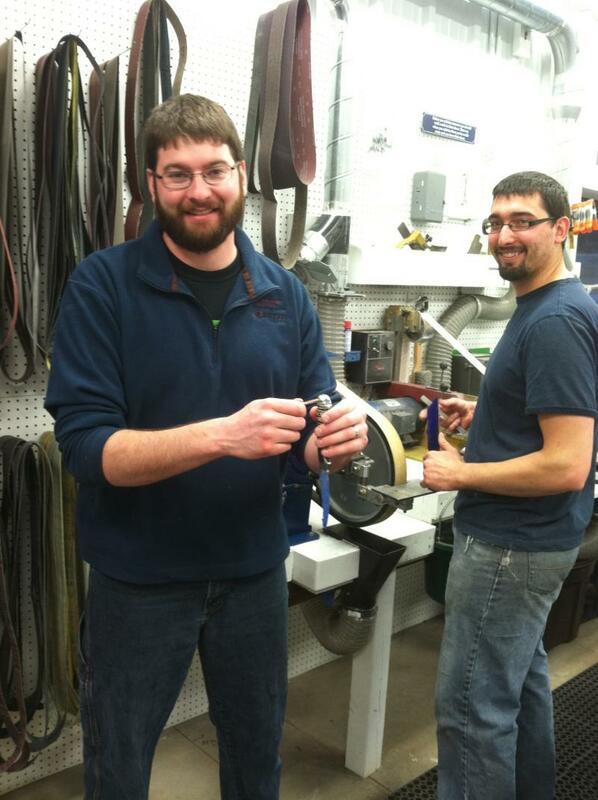 ALSO ALSO I would like to thank Steve Johnson for allowing me to spend a few days with him in his shop. It is hard to fathom what I learned in two days time. Thanks Steve!!! 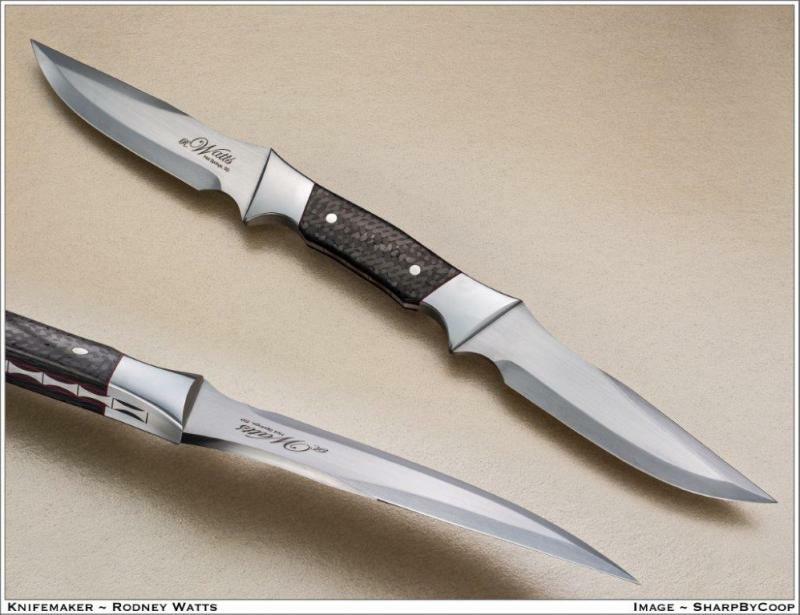 Above picture are the Big Ole Fighter and theYendor Fighter both with mammoth tooth handle material. 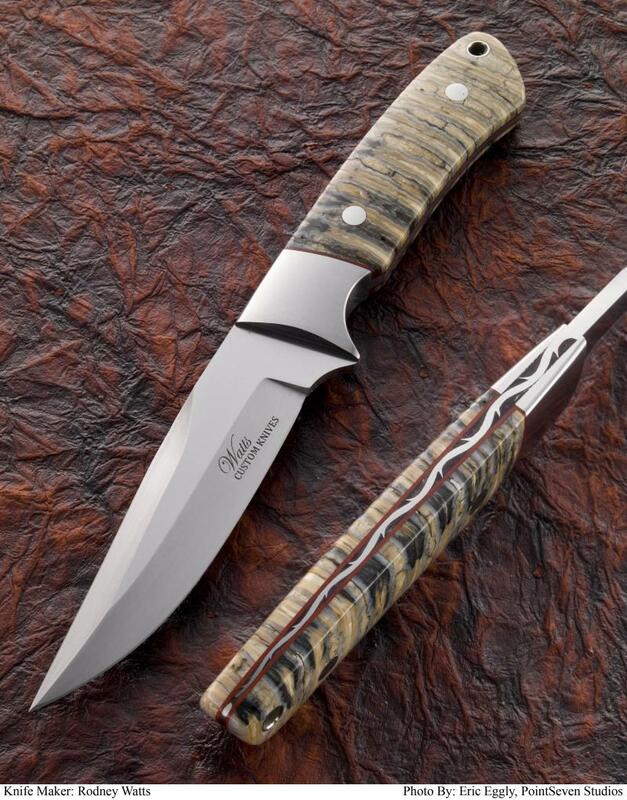 The Big Ole Fighter measures 10.5" with a 5.5" blade. The Big Ole Fighter was engraved by Bruce Christensen. 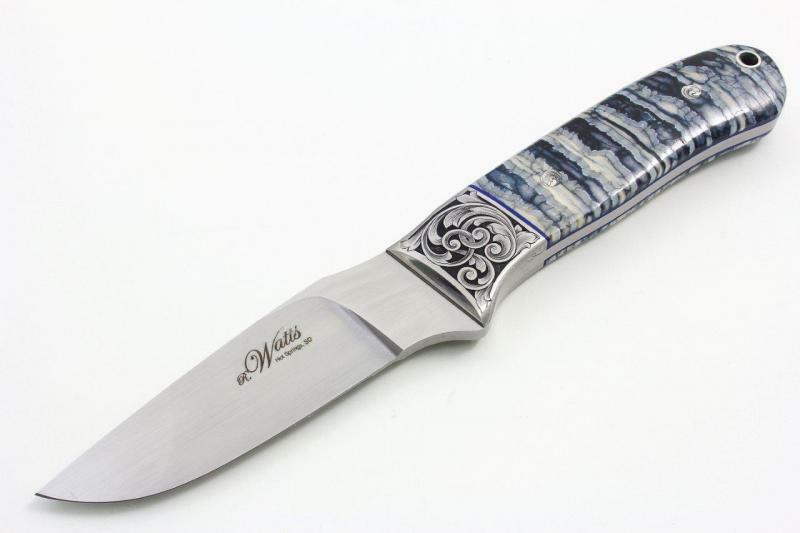 The YendorFighter features a roman knot file pattern inlay in the handle material. Ask me for pricing on these options. 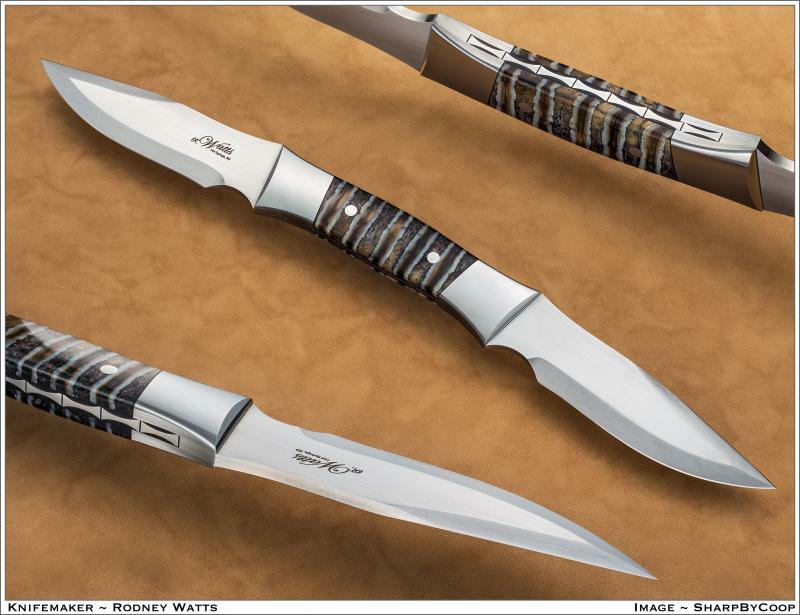 Above is the Watts Drop Point, it is 8 3/4" long with a 3 5/8" blade. Handle material is interior mammoth ivory with motther of pearl inserts over the bolt fasteners. 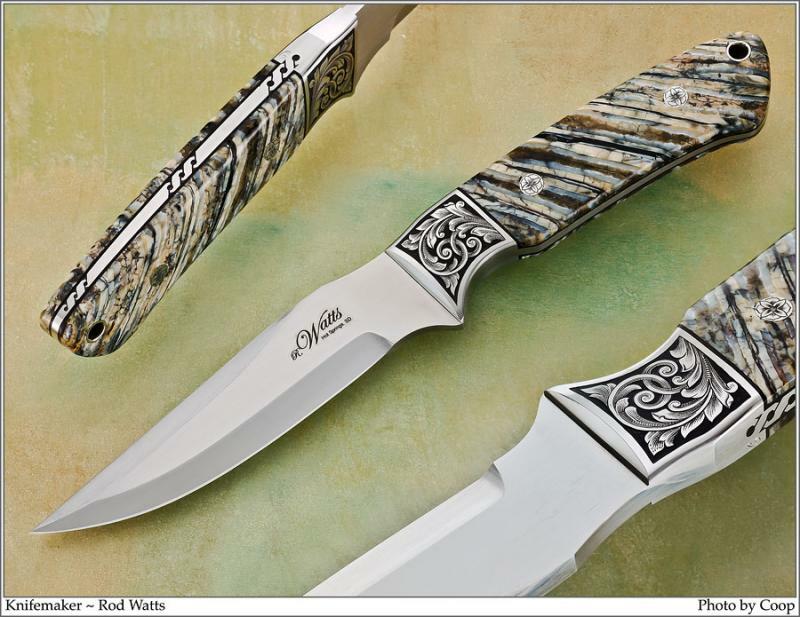 Pictured above and below are 2 Yendor knives. 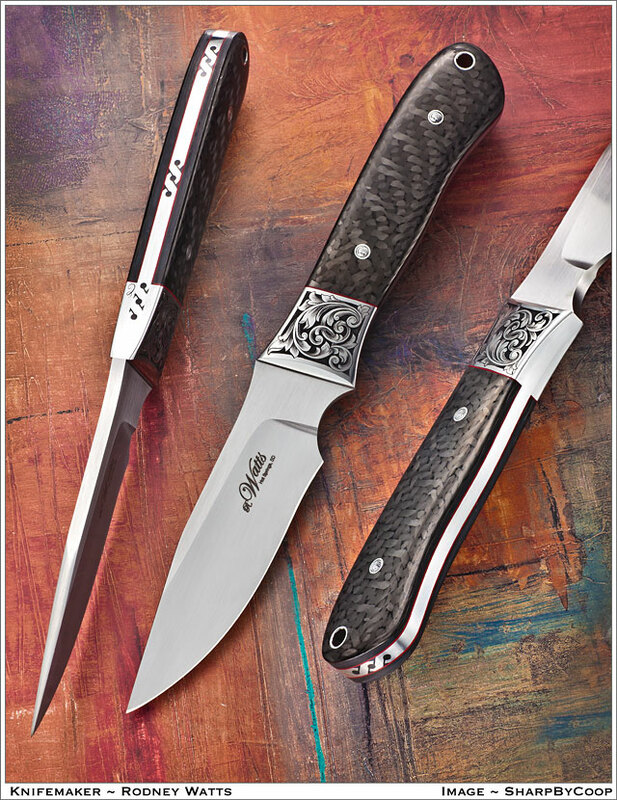 The above features carbon fiber with engraving done by Bruce Christensen. Below Yendor features mammoth tooth. Above pictured is the Watts Dagger. It is 9 5/8" long with a 4 5/8" blade. It features mammoth tooth and a roman knot pattern on both sides and on the end of the handle also. Above Pictured is the fancy fighter featuring Bruce Christensen engraving and a roman knot file pattern on tappered tang, that was a first. 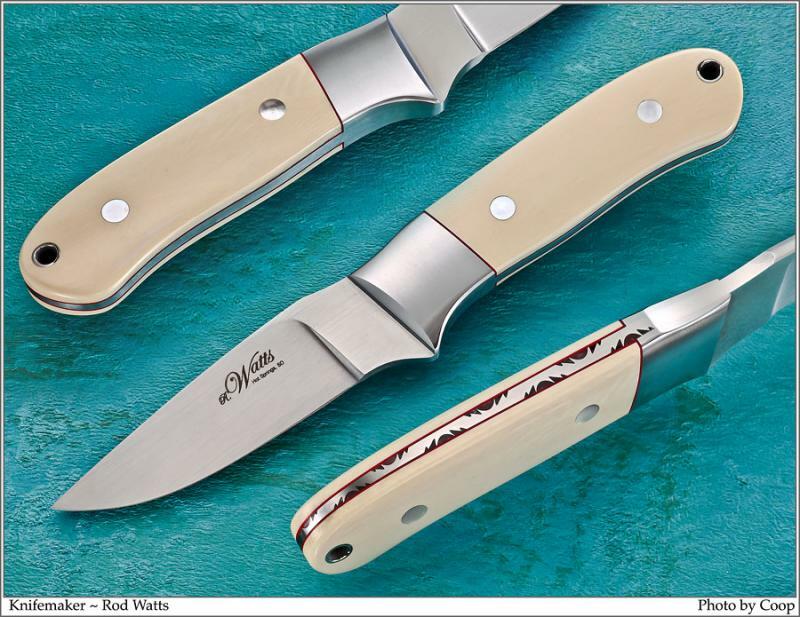 The above model is the Dakota Classic, it measures about 9" with a 4.5" blade. 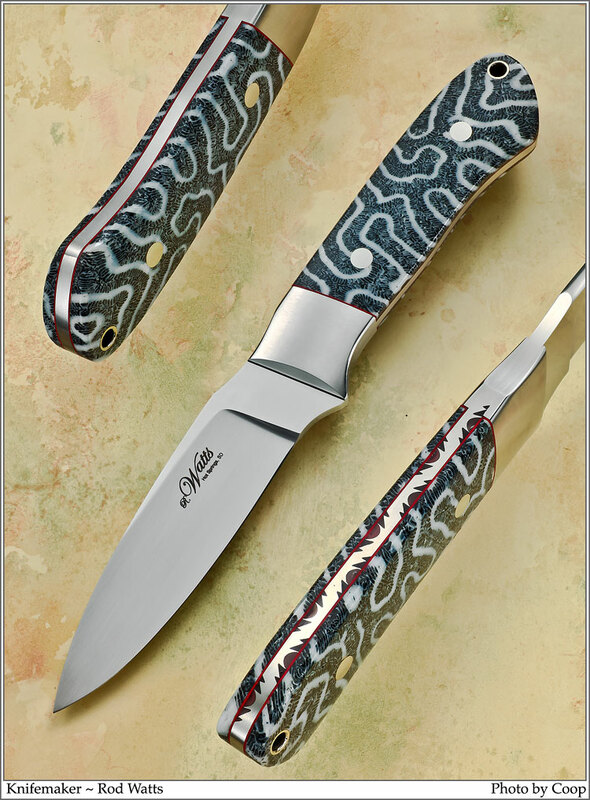 This knife features fossil brain corral wich in my opinion is the most stable of all exotic handle materials. Above and below you will see something out of the ordinary. I decided to build some fantasy knives that are basically double ended fighters. Above is the yendor fighter with mammoth tooth x2 and below is the big ole fighter with carbon fiber x2. You could really get a rush of testostrone when you picked these things up :O) You may special order these style fantasy knives from me, there are none in stock. Above pictured is the New York Special. It is 7.5" long with a 3 5/8" blade. It features a really nice set of mammoth ivory. Above pictured is the Black Hills Special. It is 7 5/8" with a 3 5/8" blade. Handle material is fossil brain corral. Pictured above is a Loveless styleCrooked Skinner. It is 8.5" long with a 3 7/8" blade. Pictured above is Zac Brown with me holding his new Dakota Classic at the 2013 Blade Show. Thanks you so much to Zac for supporting Watts Custom Knives. Axl Rose has purchased purchased several of my knives but I have not had the opprtunity to meet him yet. Above pictured is the Watts Drop Point Featuring engraving by Bruce Christenson. 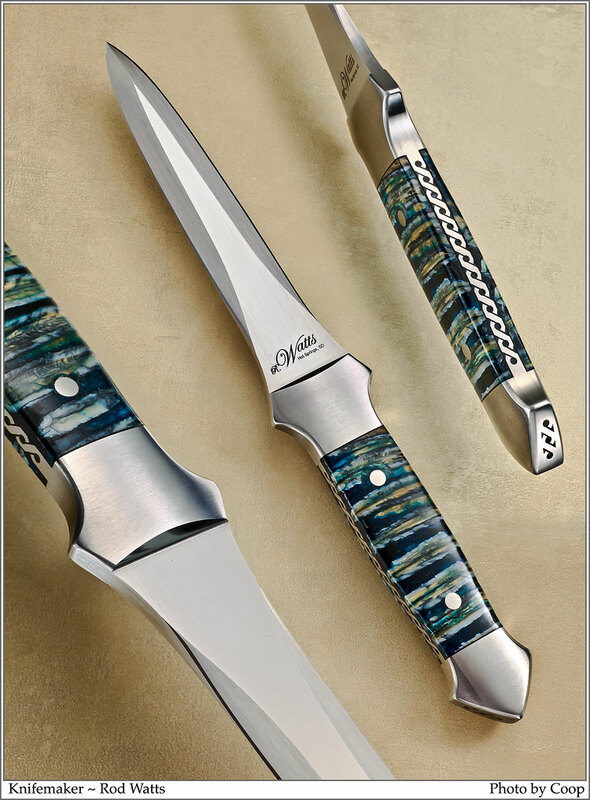 MATCHED SETS--Pictured above are the latest creation at Watts Custom Knives. I saw in Atlanta that several makers were selling very small knives but very few of them really had any detail. I came up with the idea to create matched sets and to match the detail of the full size knives with the 50% scale knives. The small knives have all the same components as the big knives and I beleive have the same level of detail. 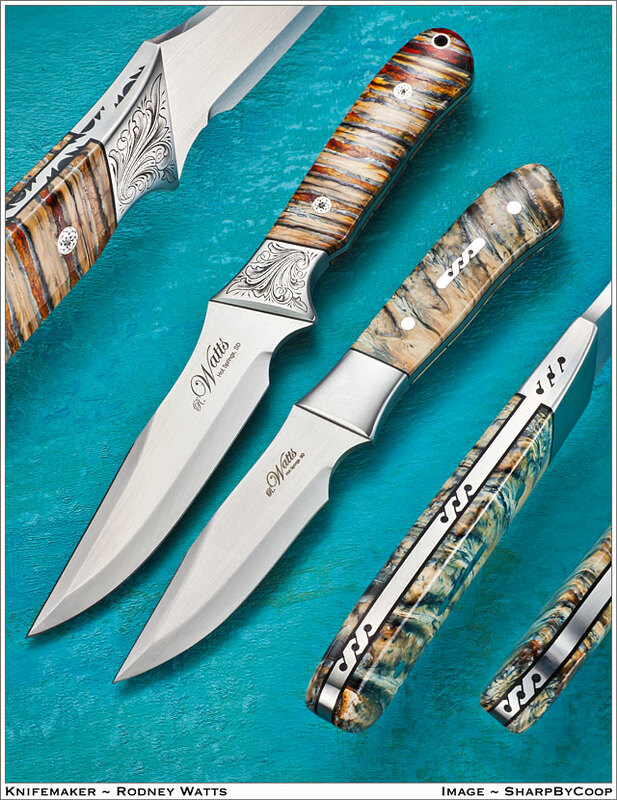 The fancy fighter set on the left even has matching tapered tangs with vine file pattern, view that pic on fixed blade page. MAMMOTH TOOTH/FOSSIL CORAL--You will notice that on a majority of my recent knives I am using Mammoth tooth. Most makers shy away from using tooth but It is quite obvious that I am not that smart because I love working with tooth. I have developed a procedure of applying the tooth that makes it a very stable handle material on my finished knives. There is a local guy here in the Black hills that is using one of my Mammoth tooth knives in the field and loves it. The thing I really love about mammoth tooth and fossil coral is that it is so stable. You could build a knife with these materials in the driest desert and ship it to the coast and it would not move on you. You would not dare try that with stag, ivory or bone. I got very tired the last few years of building stag, ivory or bone knives in my Port Isabel shop wich is on the coast, and then taking these knives to Hot Springs and watch the handle shrink within the first week of getting back. 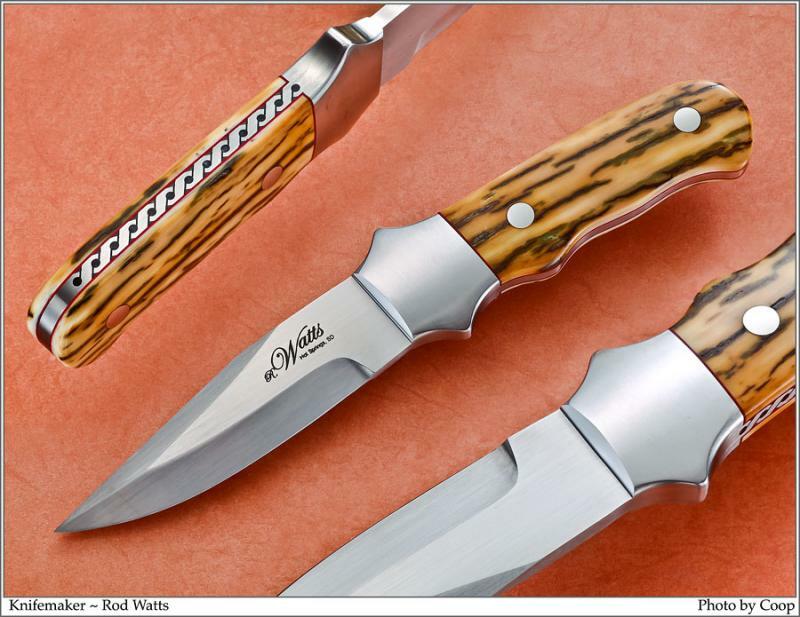 I would encourage you to view tooth and corral knives as practical knives for field use with superior stability to stag, ivory or any kind of bone or horn. My goal is to be that guy that supplies collectors with high end Mammoth Tooth and Fossil Coral knives.I can also do stag, mammoth ivory, horn, bone, micarta and many others. 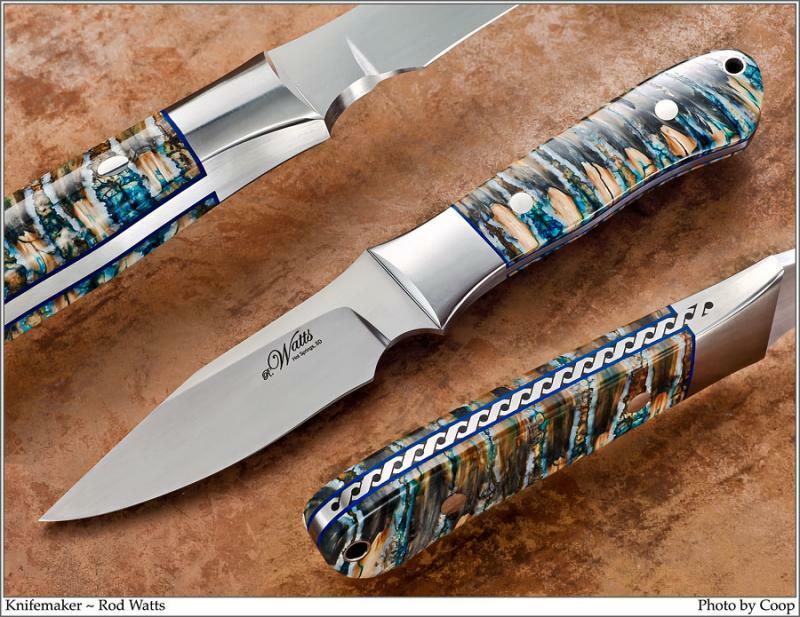 All Watts knives are handmade. I have committed to never use a blade blank or folder kit. When you purchase a Watts Custom Knife you can be assured thsat every blade is cut and ground from very high quality stainless steel. Typically, I use ATS34 for blade material and prefer 416 for bolsters and pin material and 410 for folder liner material. I enjoy working with exotic handle materials like mammoth ivory, stag, mammoth tooth, fossil coral and giraffe leg bone just to name a few. I have also worked with cow bone, water buffalo horn, camel leg bone and many others. Custom order your knife today by selecting blade/folder style, handle material and filework of your preference. Prices will vary mainly due to handle material. E-mail or call for a quote. Good news, we now accept these 3 credit cards for knife purchases. I am Corey's brother Pat and I also Work for the Watts. A while back Rod showed me a knife with a dirty thong tube and asked me if I had a way to clean it out. Well I can tell you I was very excited because Rod and Corey don't let me in the knife shop much and when they do they normally make racist comments like "who let the white guy in here" or something like that, so I'm like "whatever", and I don't understand it cause they are white too??? So anyway I thought to myself, I'm a hunter and I clean my guns all the time so I can clean these thong tubes!! Here is my chance to really shine and show these guys my tallents. I vow to never let a Watts knife leave the shop again with a dirty thong tube. Why I can just imagine my brother Corey (who is single) sitting at a knife show selling knives and have a nice single gal come by, why if she picks up a knife with a dirty thong tube Corey has no chance. I got your back bro! Copyright 2010 Watts Custom Knives. All rights reserved.